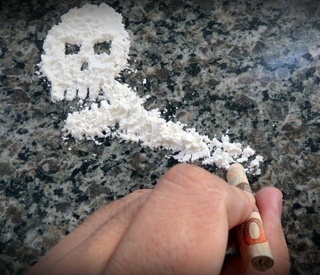 Crack is a form of cocaine, a stimulating drug made from the leaves of coca bushes. It is highly addictive and oftentimes dangerous, especially for teens. Also known as ‘rock’, crack offers a short, intense high to users. Appearing as little white crystals, it’s highly addictive and often laced with other chemicals. Crack is cocaine that has been dissolved and boiled into a mixture with ammonia or baking soda to make cocaine hydrochloride, which resembles white pellets. It can be snorted and smoked, or dissolved then injected. Crack is a stimulant that provides a quick, euphoric high for users. It also creates a sense of alertness, energy, and sometimes pleasure and arousal. Some of crack’s common street names include coke, rock, snow, blow, white, toot, nose candy, base, flake, powder, base and smack. Crack is highly addictive. This is one of the reasons why it is so dangerous, even for first time users, primarily because of its rapid and short-lived high. Crack has several negative side effects. Short term effects include constricted blood vessels, insomnia, increased heart rate, increased blood pressure, restlessness, irritability, loss of appetite and anxiety. Effects of long term use can include paranoia, aggression and depression.